We work hard to make RigER better and better every day. 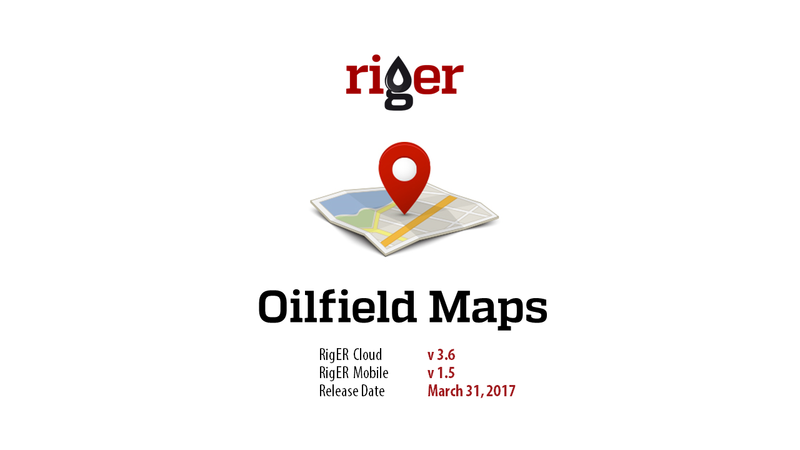 We are pleased to introduce RigER 3.6 – Oilfield Maps. 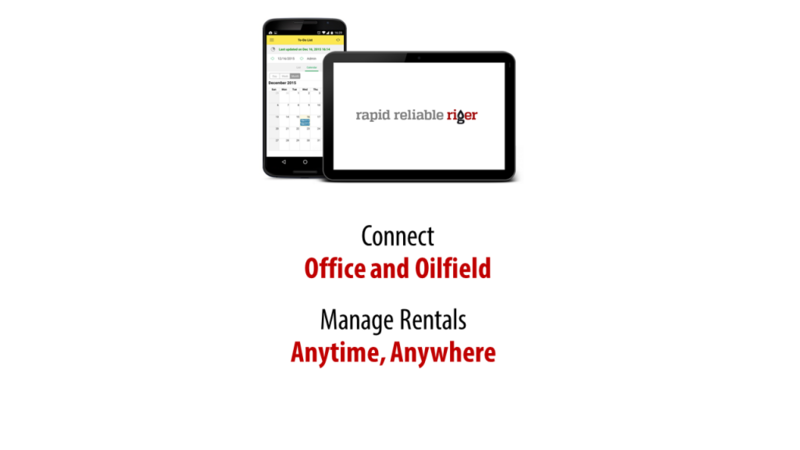 RigER – Rig Equipment Rentals – Digital Oilfield Platform for Oil and Gas Service and Rental Companies. 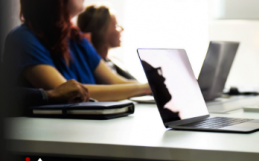 RigER includes cloud and mobile applications and connects office and oilfield. RigER manages full cycle of oilfield operations: from client service request, service schedule via field tickets to final service invoice. 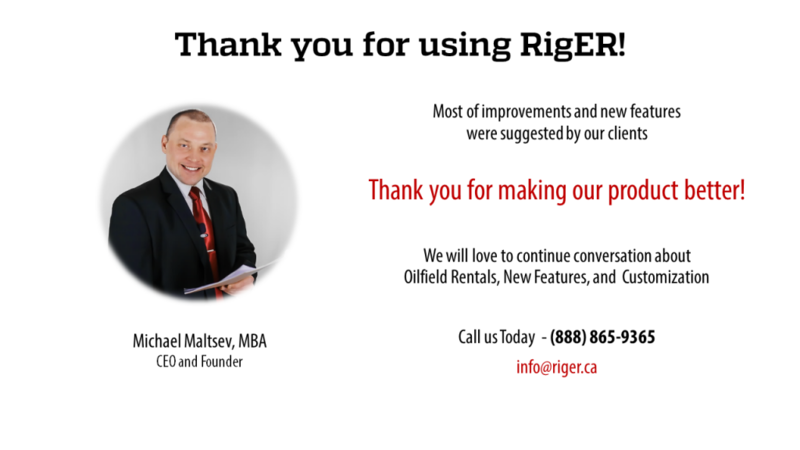 RigER helps energy service and rental companies in Canada and USA boost oilfield service and rentals. 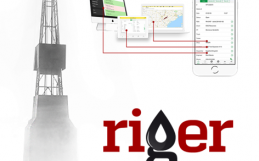 We are very excited to launch the new version of our product – RigER 3.6 Oilfield Maps. 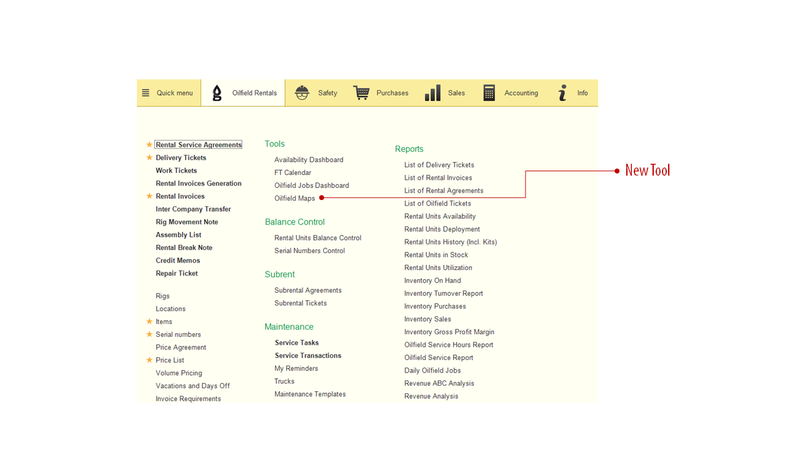 Oilfield Maps is a great visual tool for energy service and equipment rentals operations dispatching and management. 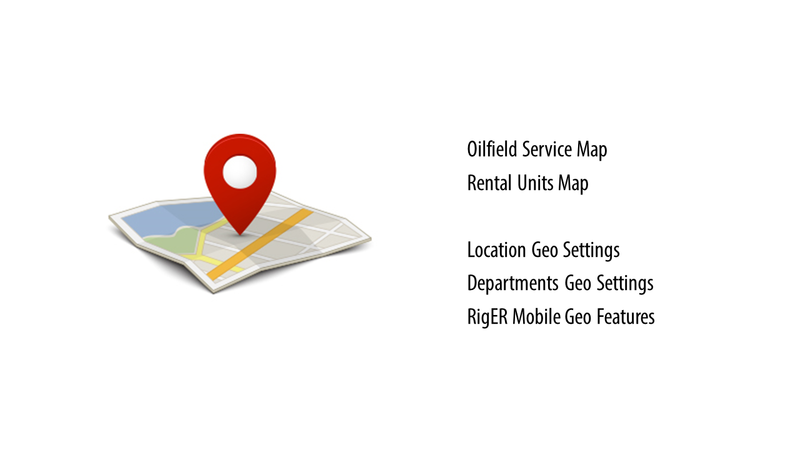 Check if you have Oilfield maps in your RigER configuration (Go to Oilfield Rentals Menu => Tools). 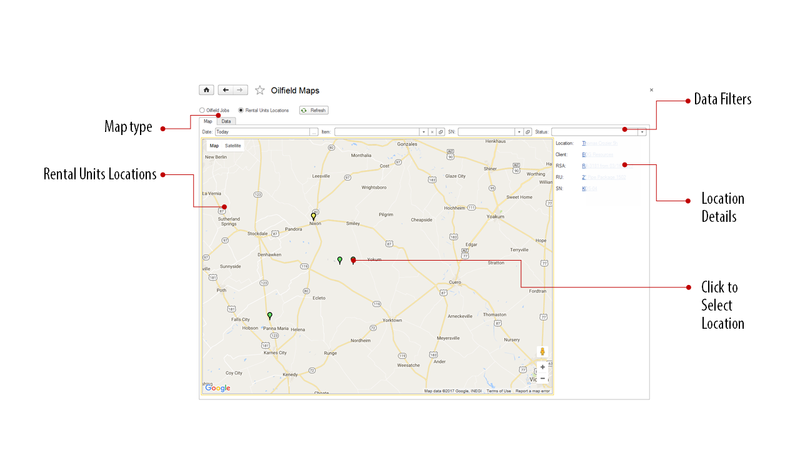 Geolocation Module should be active to access Oilfield Maps. 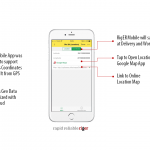 RigER Geolocation Module is available for RigER Enterprise Plan only. 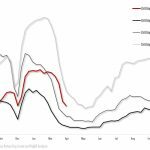 The Oilfield Service Map presents all job locations for selected period: all, today, next week, last week, last month, etc. 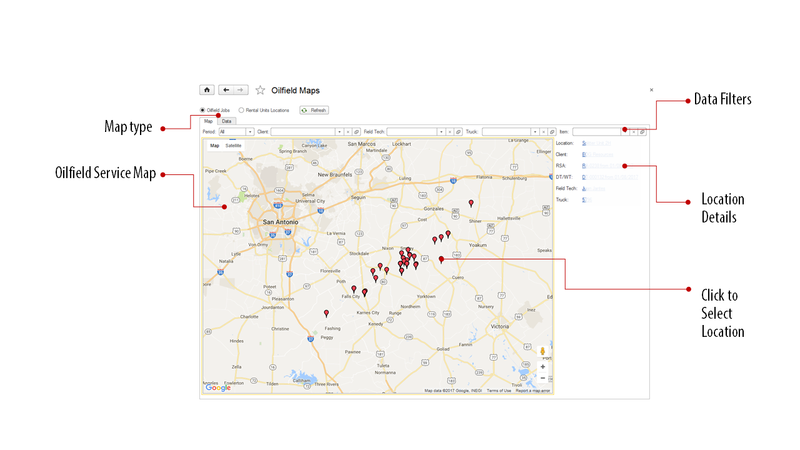 Following data filters available for this map: Client, Filed Technician, Truck, Item. The Rental Units Map presents rental units locations for selected date and time. Following data filters available for this map: Rental Unit, Serial Number, Rental Unit Status. 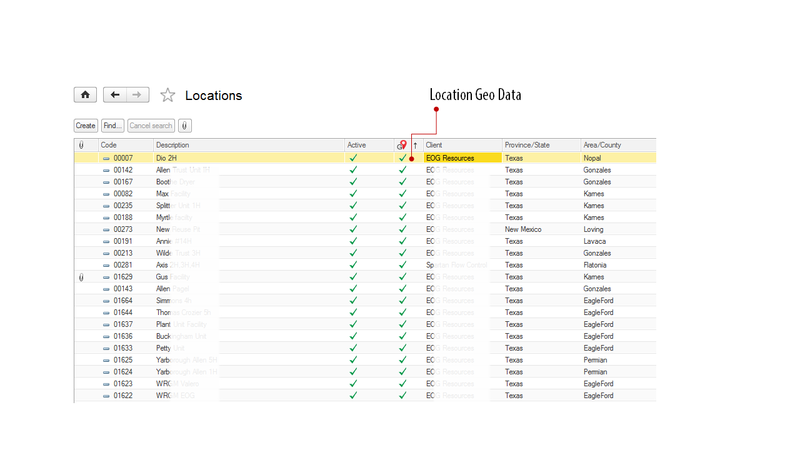 Geo Data added to Locations. 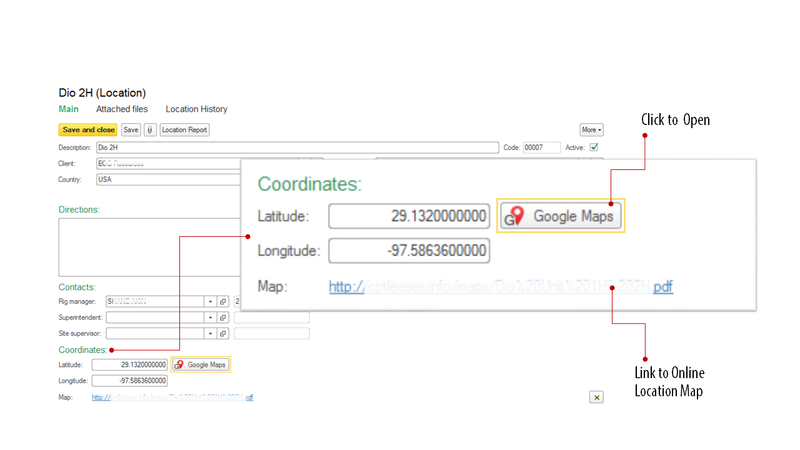 Client Location card and Department Card have latitude and longitude coordinates, link to Google Maps, link to external map file. Attitudinal map file can be uploaded as attachment to any location. 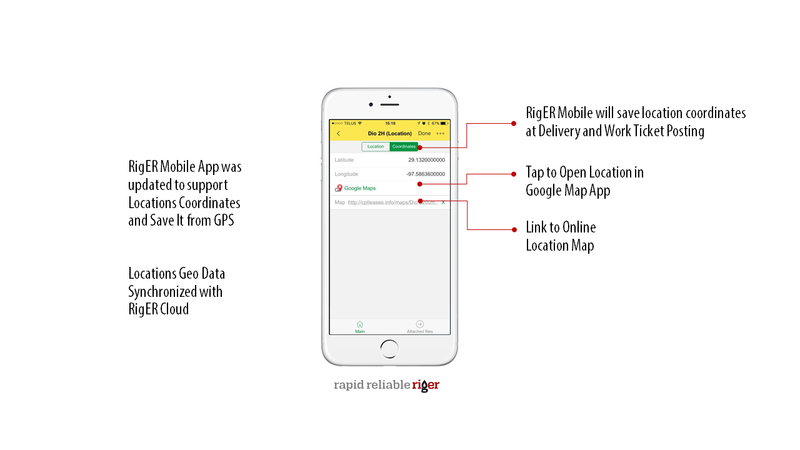 RigER Mobile App was updated to store Locations Geo data and , if necessary, save It from device GPS module. 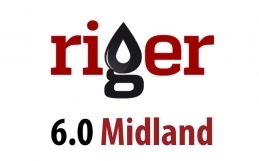 All users will receive RigER 3.6 update on demand within next 2 weeks. 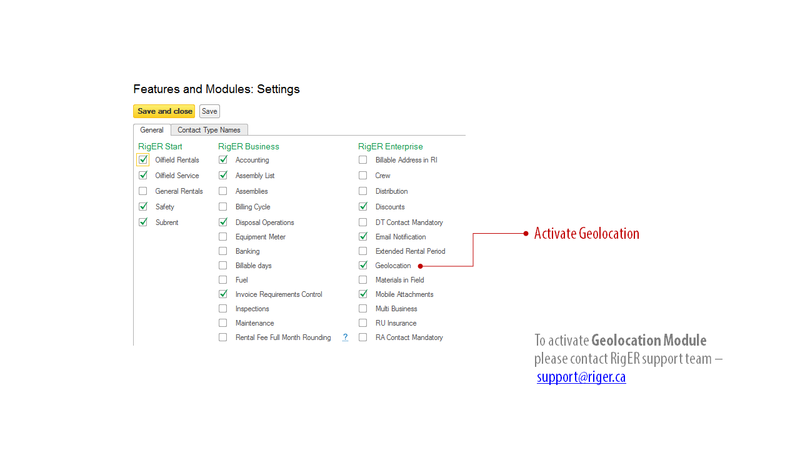 Give as a call to activate Oilfield Maps .